Being rotten to the core got you down? Tired of dogs howling, babies crying, and children screaming in your general presence? 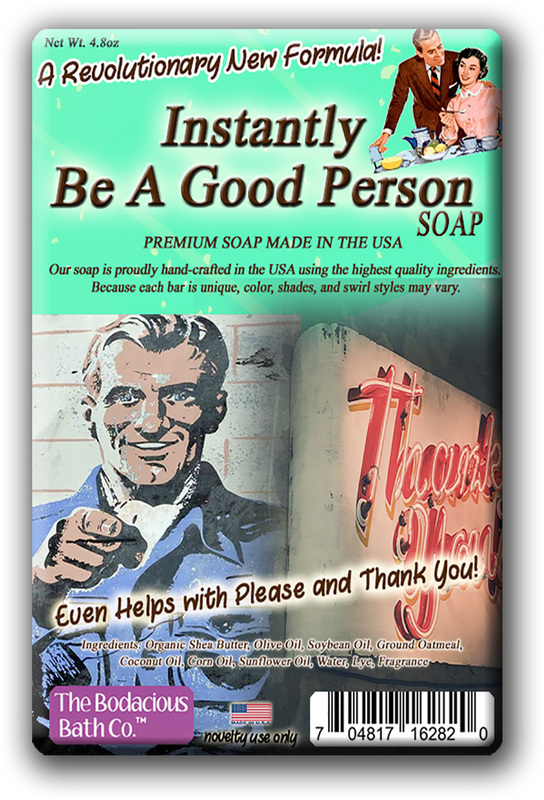 Now, you can turn that evil into innocence with a simple shower, thanks to Instantly Be A Good Person Soap! 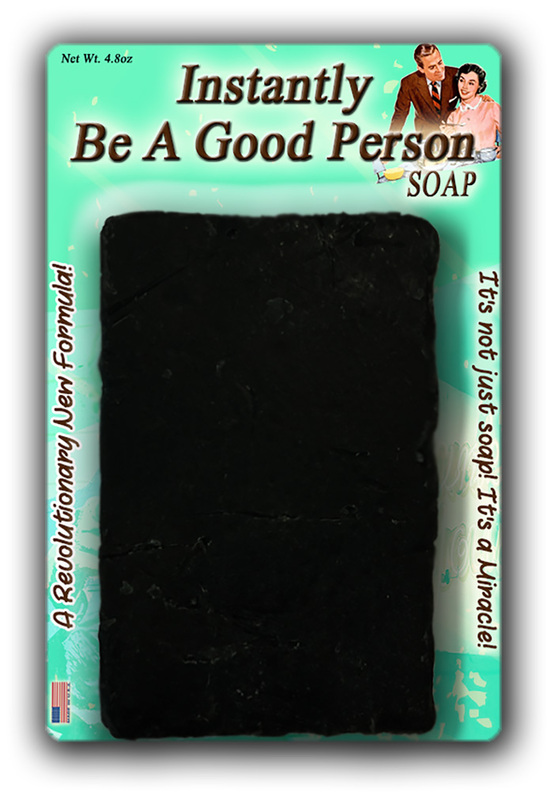 Instantly Be A Good Person Soap will have that black heart pumping true blue in no time. 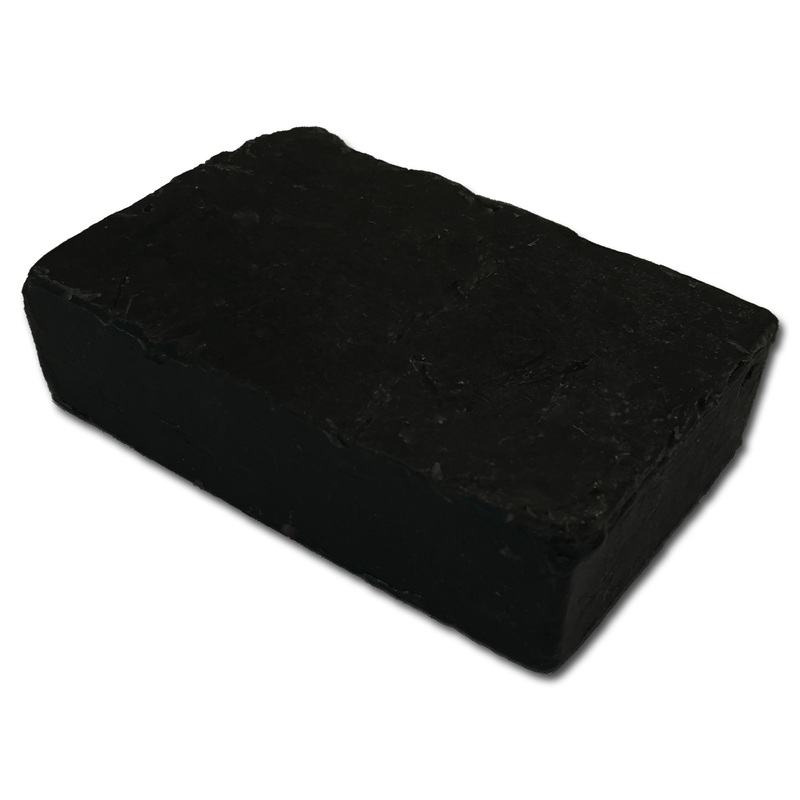 Its pine scent will magically wash away any horrible habits and restore your soul to a sparkling shade of human decency in a flash. For best results, use daily. Probably multiple times. 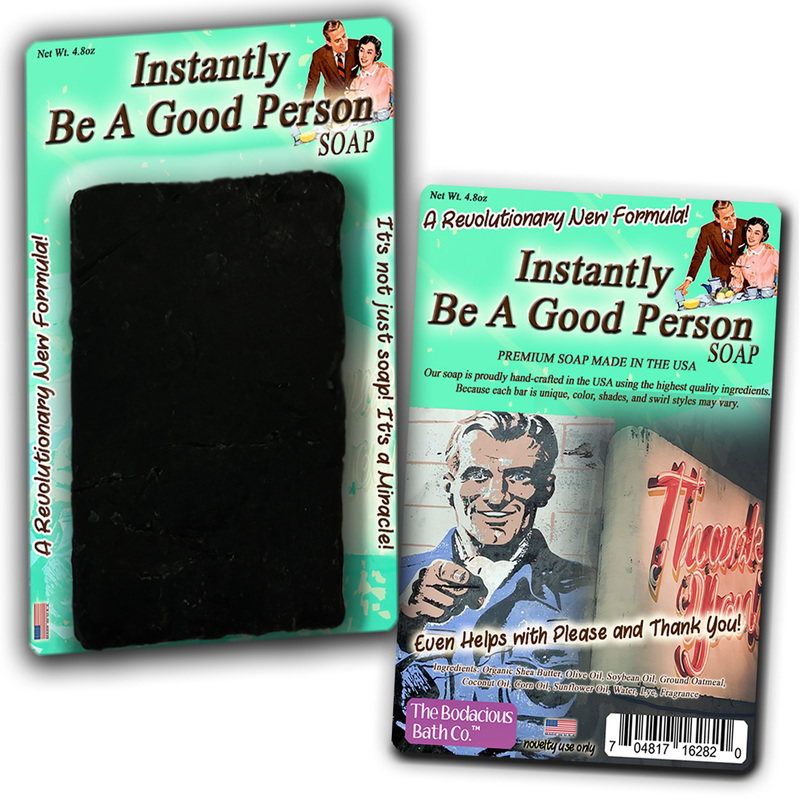 Before Instantly Be A Good Person Soap, there was no miracle cure for guys and gals who could use a boost in the human decency department. 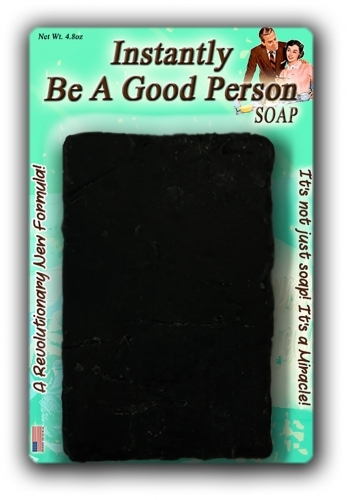 This weird bath gift for friends, family, and coworkers is a gut-busting surprise addition to gift baskets, care packages, and birthday gifts. Slip a bar of this awesome pampering gift in as a fun stocking stuffer or wrap it up as a crazy Secret Santa or White Elephant present.